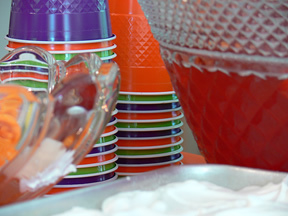 Whether you make it with or without the vodka, this punch will be loved by all who have it. 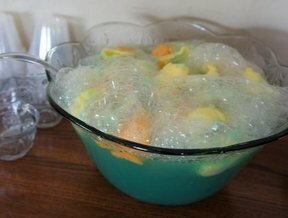 Dissolve Jell-O into boiling water. 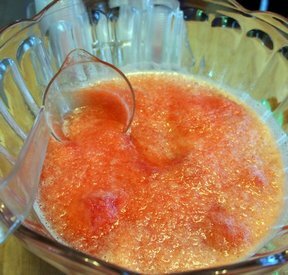 Add cold water and sugar; when mixed, add pineapple juice and mix again. Take out of freezer a couple of hours before serving. Serve with vodka or 7-Up or gingerale. 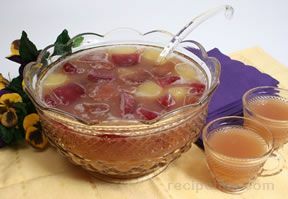 **NOTE: For non-alcoholic version, just add more pineapple juice or water to replace the vodka. Kids will love it this way! "Made this for the grandkids (without the vodka, of course) for Christmas afternoon. It was a hit!"